I first introduced Calendulas into my vegetable garden, thinking they might be good companion plants for potatoes and tomatoes. They've flowered there ever since, self-sowing with generous yet good intentions. I love them! 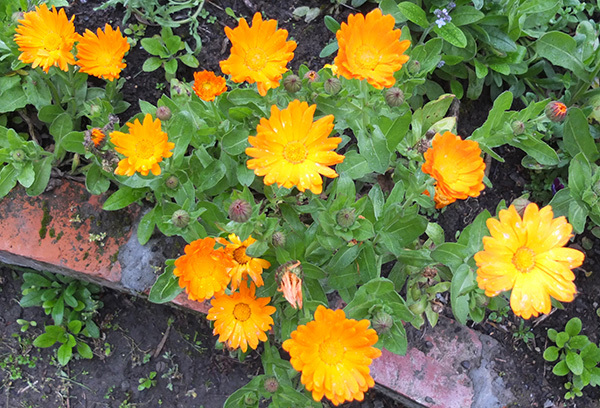 I collect their seeds and have planted Calendulas in many of the other sunny garden borders. Some years I buy in seeds - a spiky orange is the favourite of the moment. Most of all I love their simple daisy faces and their unabashed orange-ness. I can't think of a more cheerful and less offensive annual to grow. 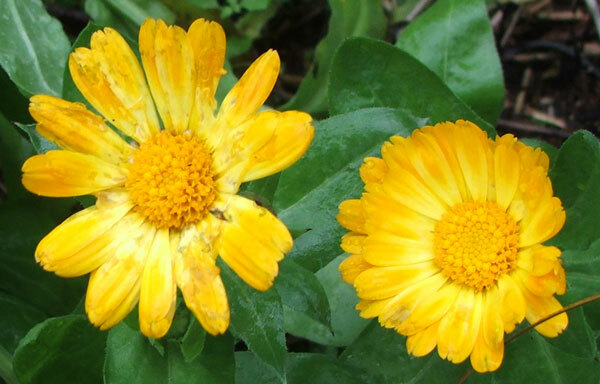 Compared to the fussier-flowered marigolds, Calendulas have a natural grace and an ability to blend in with the other plants, even if they are bright orange. Enjoy!